car rental deals and discounts available from 16 top rental companies such as: Alamo, Avis, Budget, Dollar, Enterprise, Hertz, National, Thrifty, & more. Cash Back posts after orders are completed, usually within 30-60 days. 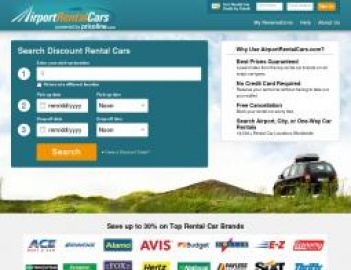 Click a Coupon or click Start Shopping to earn 2% Cash Back at AirportRentalCars.